“Let the Saint be, my child. He is now in America running to save lives”. 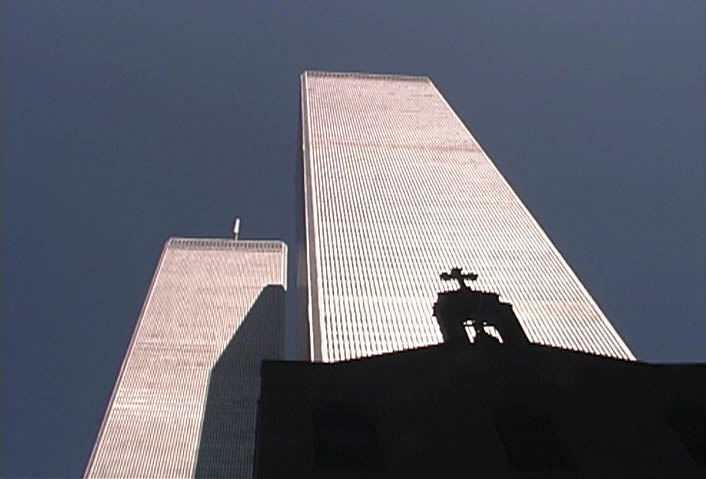 On September 11th, the disaster at the Twin Towers took place. Some months earlier he had seen what was going to happen and had warned that it was going to change history. "A great evil will begin in America, and not just in September. Alas!" He had given this warning to the Metropolitan of Sisaniou, Anthony, in one of the latter’s visits, in the presence of other people. However, he did not give any explanation. "Your Eminence, wait and see what calamity will befall the Americans in two months." 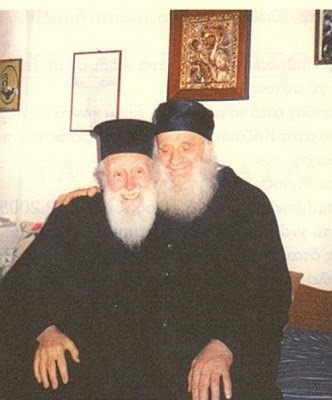 Elder Ambrose is pictured hugging the Metropolitan of Sisaniou, Anthony.